Documentaries about food have seldom been so engaging and uplifting. 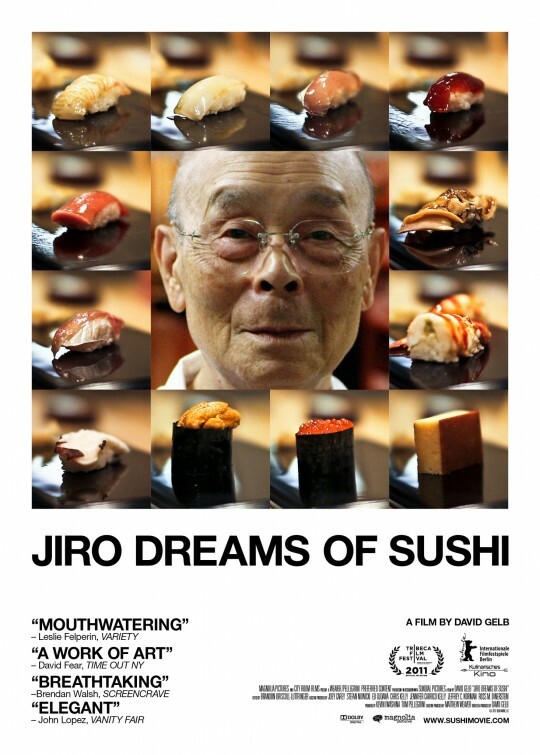 Jiro Dreams of Sushi(2011) follows the operations of a miniscule sushi restaurant in Tokyo which happens to be regarded as producing the best sushi in the world. Jiro Ono is an octogenarian who has been honing his craft of sushi-making for most of his life. His fastidiousness, indefatigable work ethic and a passion for sushi are highlighted throughout the film with quiet care. The relationship between Jiro’s sons (also sushi chefs) and himself brings an element of drama that is unexpected from a story about fish. This documentary is a lovely illustration of a passionate senior and his gift to the world of meticulously-crafted sushi.